Selmer have chosen to mark the passing of their 125th Anniversary with the introduction of new features to the standard Series II and Series III ranges. This Jubilee Model is here to stay and marks the new generation of Instrument produced by the French Sax specialists. Benefitting from various technical tweaks, including a lighter bell to bow joining ring, this new Series III feels leaner and meaner. Adorned with beautiful new engraving designs, and being supplied in the darker lacquer seen previously on the Reference 54L Alto, it really is quite eye catching. The new Selmer badge on the crook key is a small reminder of the legacy of this unique company. Series II Altos have universally been accepted in the classical and jazz genre, just chose your set-up and off you go. Supplied with a new mouthpiece, which is very much suited for classical players, the instrument also comes with a neat accessory pack, and we are supplying these WITH the official Selmer Paris Case for the ultimate outfit. Selmer case style may vary. 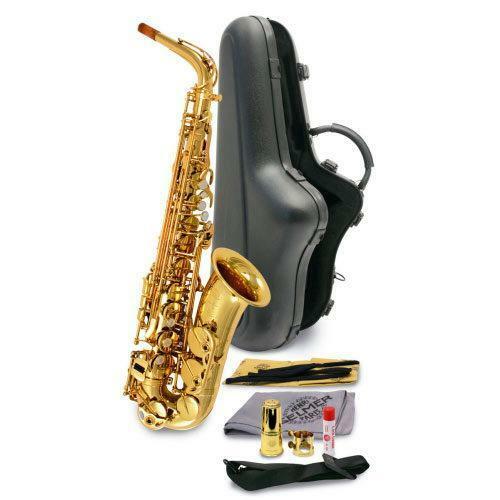 As usual all Selmer Saxophones get the unique platinum set-up service by Dawkes technicians before being offered for sale to perfect the action and response.